Trey over at From the Sorcerer's Skull posted his Appendix N yesterday and I decided to follow suit. 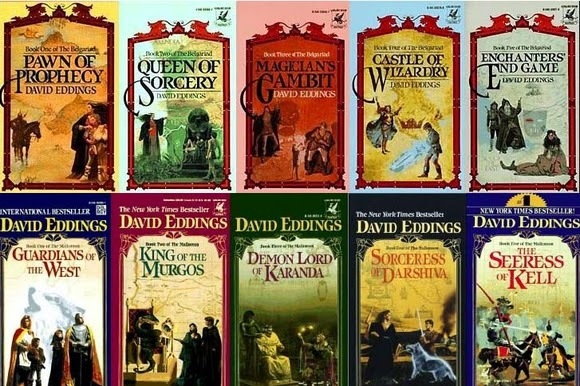 I didn't start reading fantasy novels until after I started gaming, so it was in college and I was probably 18 or 19. My roots lean more to other other media. 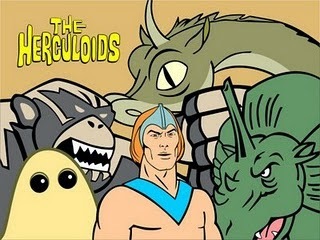 Herculoids introduced me to Science Fantasy, my favorite sub-genre to this day. Clash of the Titans made me love mythology and learn the legends of the Greeks and Romans. Sadly, the film never lived up to my expectations...until the remake. Thundarr the Barbarian was an awesome combination of Star Wars and Post-Apocalyptic action, its still my favorite cartoon of all time. Masters of the Universe toys and cartoons are still a huge part of my life and they established my deep love for Science Fantasy and shaped my basic preferences going forward for high octane fantasy. 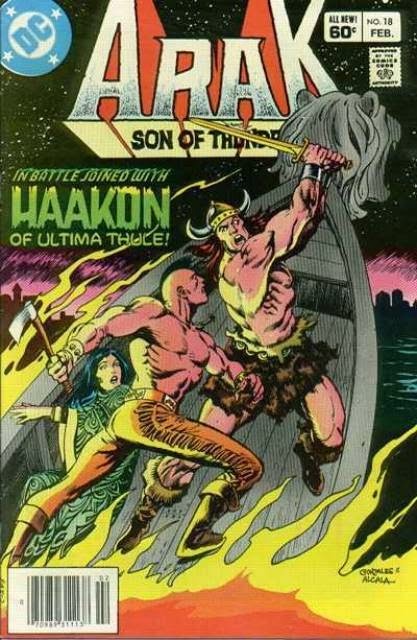 Arak, Son of Thunder from DC Comics was the first fantasy comic I ever read and I still dig it. I used to try to convince my 11 year old self that maybe he was Thundarr's son. Conan the Barbarian comics from Marvel (Roy Thomas and John Buscema) introduced me to grittier fantasy and swords and sorcery. group our first Christmas together. I was a bit sad that he got my best friend some Forgotten Realms novels. But then I read the series and really, really adored it. It shaped my opinions of magic and fueled my hatred for DnD's "Vancian" magic for years. Robert E. Howard's work really fueled my love for dark fantasy and fantastic horror. It permeates my game mastering to this day. Robert Lee Byers's Thayan Trilogy of Undead, Unclean and Unholy for the Forgotten Realms are among my top DnD novels and I am a huge fan of the man's work. Patrick Rothfuss' Name of the Wind is in the top 3 of my favorite novels of all time. Its an amazing work, but I read it believing his trilogy was completed and now, I refuse to finish until that day comes. I'm not going to get "George R.R. Martined".